the care, enthusiasm, and professionalism you deserve! Our PACKAGES range from our DELUXE Package to the MONSTER Package up through the spectacular ULTIMATE JAM. The Packages vary in complexity and enormity, but all are first class giving you the option to fit your taste and budget! Please call us for specific information and prices! 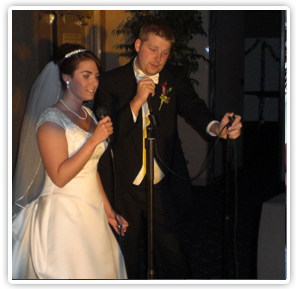 Our KARAOKE packages are equally as excellent including laser & CDG formats, multiple TV's & microphones, excellent sound and a huge and ever updated library of songs to sing. 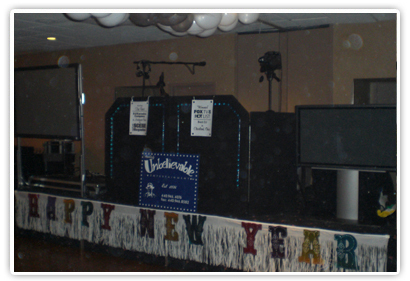 Call for a customized package for your event! CALL EARLY TO RESERVE YOUR DATE !